Syracuse is located along the old Erie Canal adjacent to the well-known Finger Lakes region. It is a commercial and transportation center at the crossroads of major north-south and east-west routes. Large industries once took advantage of the area’s clean water and strategic location, but the decline of the manufacturing base has hurt the area and it faces difficulties attracting jobs, and for that matter, new residents to town. Syracuse University adds a college-town element and is the area’s largest employer. The rest of the employment base is spread among a number of smaller employers and increasingly service-oriented businesses, healthcare, and public agencies. Canal parks and a museum preserve the city’s Erie Canal heritage. The cityscape is fairly non-descript but there are some nice wooded neighborhoods surrounding the city. There are minor-league sports and the Syracuse basketball team is a local attraction. Oneida Lake nearby and Lake Ontario to the north provide recreational opportunities. However, Syracuse ties Utica to the east for the greatest annual snowfall in the country, and the area is in a belt of gloomy lake-driven weather year round and especially in winter. 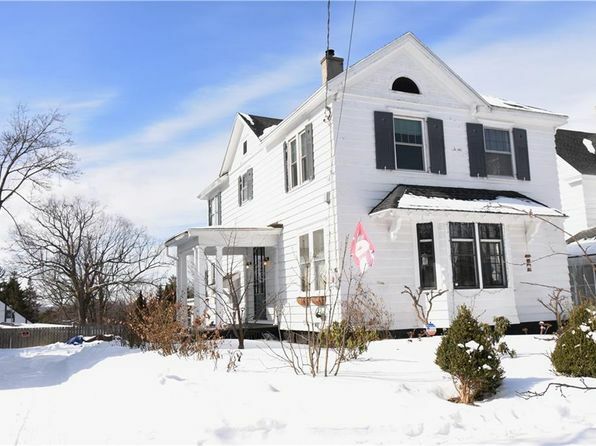 For some, Syracuse is a good alternative to crowded and expensive areas further east and south. Gently rolling terrain stretches northward for about 30 miles to the eastern end of Lake Ontario. Hills rise to 1,500 feet about 5 miles south. The climate is continental with a lake influence. The location near the St. Lawrence storm track makes for dynamic weather. Summer temperatures rise quickly, occasionally exceeding 90 degrees, and fall rapidly after sunset. Hot, humid conditions happen only a few times a year. Winters are cold and somewhat severe. Temperatures average from the low 30’s to the low teens. While Lake Ontario provides some moderation, below-zero temperatures do occur. Precipitation is evenly distributed year-round with thunderstorms in summer and frequent winter snow squalls fed by lake moisture. Winter days are cloudy. Over 100 inches of snow falls annually. First freeze is mid-October, last is late April. 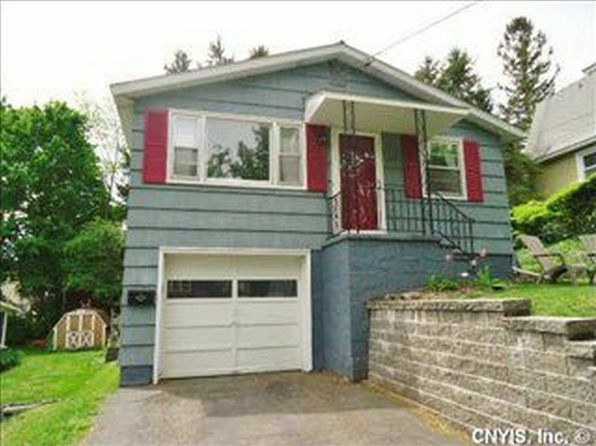 The median home price in Syracuse is $85,300. Browse Homes in this Range. 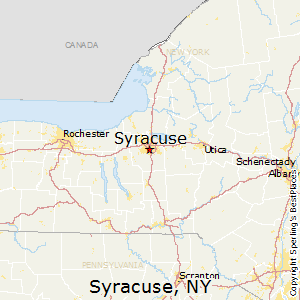 Compare Syracuse, New York to any other place in the USA.